ET University is a professionally designed University Joomla! Template which is specially tailored for all kinds of the university, college, and education. This template is well-developed on Bootstrap, unlimited module position, strong shortcodes assist you present content easily. 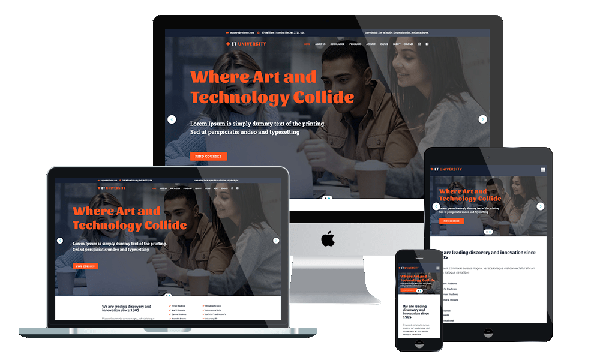 It comes with 4 color styles build-in HTML5 and CSS3, but really customizable, drag-drop tools and color settings are also integrated to help you create an awesome website with gorgeous view and various layouts. Use Google maps to help people locate your university. The online chat will allow you live immediate contact with prospective and actual students. Excellent features such as a responsive nature and cross-browser compatibility are also included. These great features ensure your website will be viewable on all devices and browsers and performing with the same excellent quality. We offer on-trend designs which are fully customizable and contain outstanding features, enabling you to have a top quality website with the best modern functionality. Select your template now to enhance your university website!